Blue/White Paper Striped Party Straws Only $2.69 PLUS FREE Shipping! You are here: Home / Great Deals / Amazon Deals / Blue/White Paper Striped Party Straws Only $2.69 PLUS FREE Shipping! I love paper straws! There is something so whimsical about them! 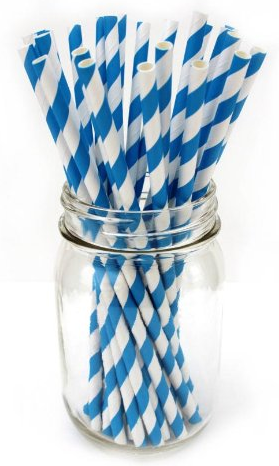 Get these Blue/White Paper Striped Party Straws for Only $2.69 PLUS FREE Shipping! I am thinking they would be PERFECT for a Frozen themed party!